Keep below the maximum speed limit (40 kph/25mph). 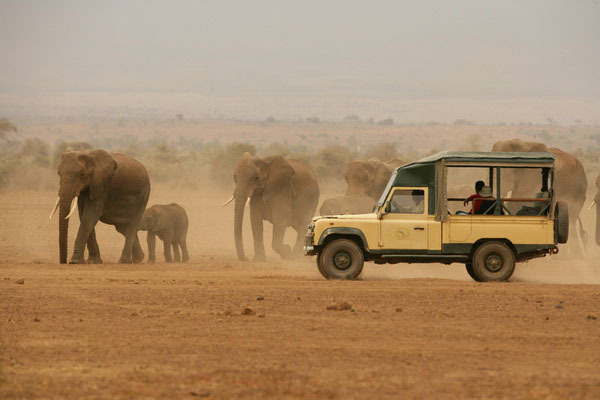 Never drive off-road -this severely damages the habitat. 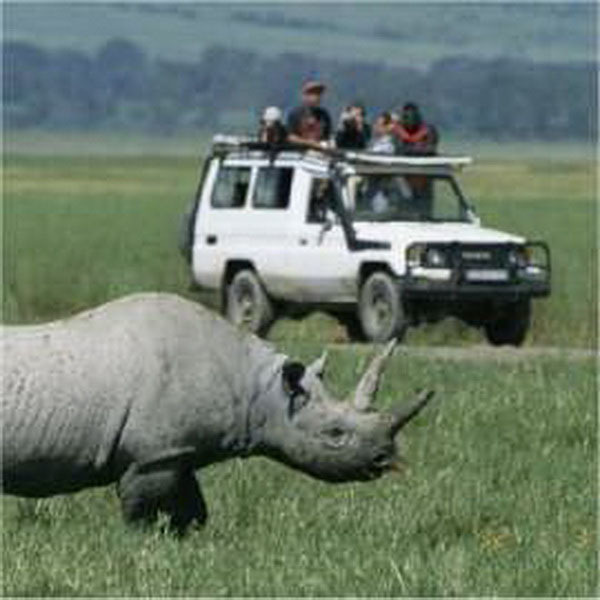 When viewing wildlife keep to a minimum distance of 20m and pull to the side of the road so as to allow others to pass. If your driver is driving too fast or too dangerously ask him/her to slow down. 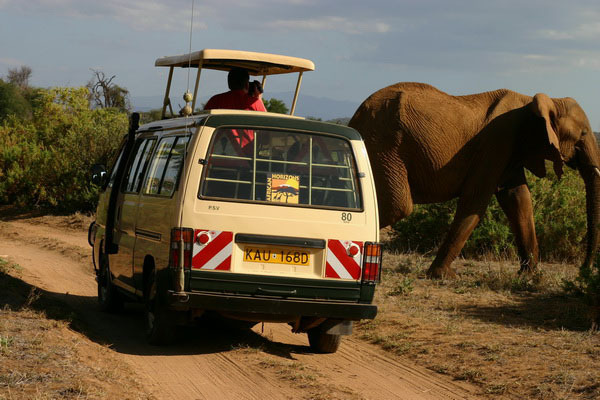 View responsibly; tourist buses chase after wildlife, and it's not uncommon to see twenty of them surrounding one bemused lion. This is irresponsible and can seriously affect the animal's eating patterns. If more than two vehicles are at a sighting, don't join them. Wait until they have gone. 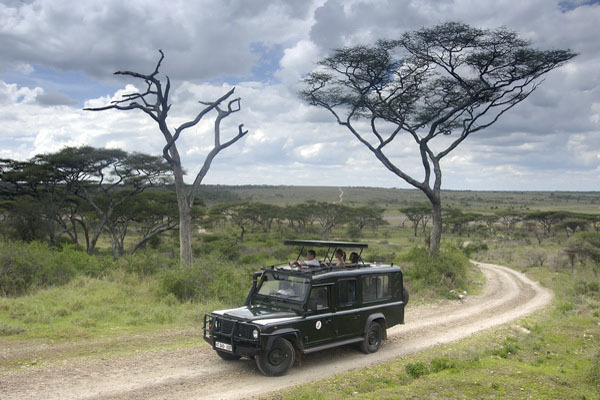 An informed safari is an enhanced safari; carry guidebooks (about the park, wildlife, birds and flora) and binoculars. Always travel with plenty of water, wear sensible shoes incase you have to walk, carry a hat, sunscreen and sunglasses. It makes sense to wear khaki or green clothing; but multiple pockets and hunters' hats can look contrived. Strong scents scare animals; so strong-smelling toiletries are not a good idea. It gets chilly in the evenings so take a light fleece. 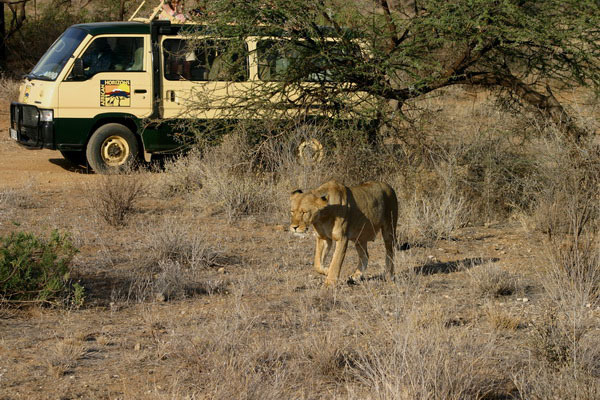 On a walking safari never walk in front of the gun and pay rapt attention to the instructions of your guide. In the face of danger from wildlife keep still; don't run. Watch where you are putting your feet, though most of East Africa's snakes are not venomous - some are. Do not walk in the long grass; never walk without shoes. Watch out for ticks, which can transmit tick typhus to humans. Tuck socks into shoes and trousers into socks and in areas of ‘pepper ticks' (very small ticks) spray clothing with insect repellent before walking in the bush. When in tented camps, bear in mind that the walls are made of canvas; and that all sound carries. 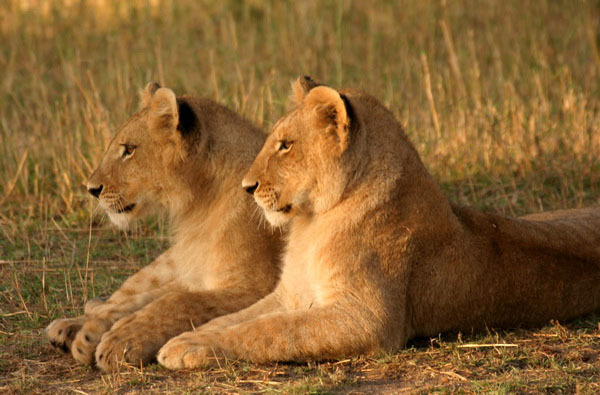 Don't be a safari bore; few of your fellow guests will be interested in learning the details of your wildlife viewing. When tipping the guide (which is optional) bear in mind that many people in East Africa live on less than a dollar a day. Do not remove anything from a national park or reserve (this also applies to the marine parks). Never get between a hippo and the water; stay well away from lakeshores at night: hippos are VERY dangerous; more people are killed by hippos in, for instance, Kenya than by any other animal. Be wary of baboons; they can and do attack tourists (usually for food); they can also open tents and climb in through car windows. 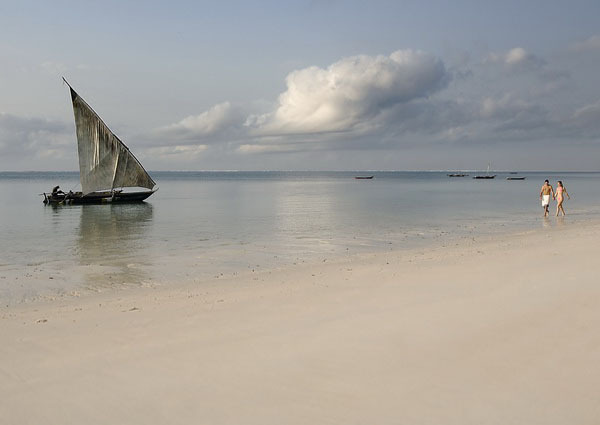 Beware of swimming in fresh water lakes: many of East Africa's fresh water lakes are infected with Bilharzia (tiny snail-like creature that live as parasites in the body and can seriously affect the immune system). Many are also the natural habitat of both crocodiles and hippos - both of which are very dangerous. So, best NOT to swim in lakes, rivers or streams. The best time to view wildlife is very early (dawn) and from 4pm to dusk. 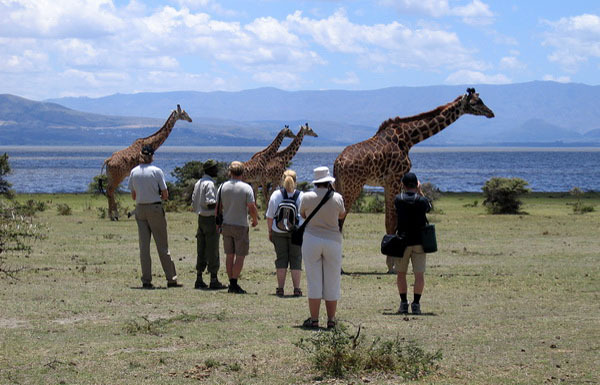 The best time for wildlife viewing is 6.30am- 9.30 am and 3.30pm-6.30pm; this is due to the fact that most of the animals retire to the shade to rest during the middle (hottest) part of the day. For best viewing, the trick is not to look AT the bush but THROUGH it. Focus your eyes at mid-range distance, look under bushes and into the shadows, and watch out for those subtle changes in colour and continuity that may indicate the presence of wildlife. Always observe The Wildlife Code. 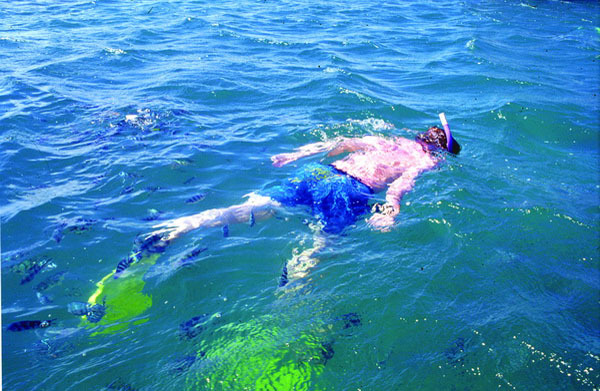 Be aware that some marine life is dangerous - do not touch anything under water. Do not remove any shells, starfish or any other sea flora or marine life, especially those deriving from turtles and whales. 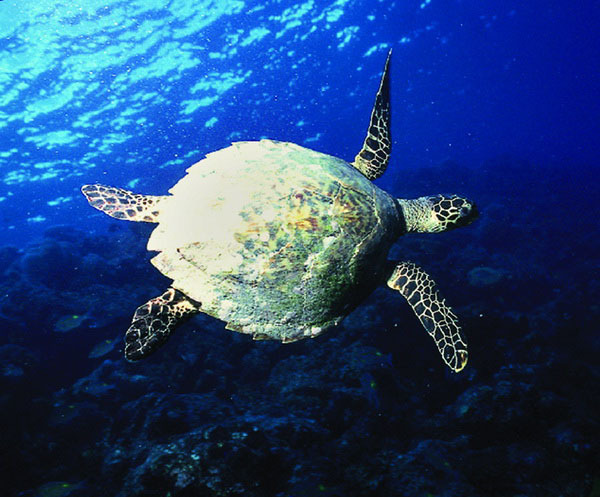 Never dispose of litter on the beach or in the sea (plastic refuse, when ingested, causes the deaths of hundreds of the Park's turtles annually). Support traditional coastal livelihoods and never give money to children on the beach or in the villages - this can encourage them to stay away from school.